Fairfield Foamology NuFoam Pad 15 in. x 17 in. x 3 in. Description: Fairfield Foamology NuFoam is made of 100% densified polyester and perfect for chair cushions, deck furniture, camping, boat and recreational vehicle accessories, futons, upholstery, crib bumpers, playpen mats and more. NU-Foam is a much improved substitute for conventional foam products. 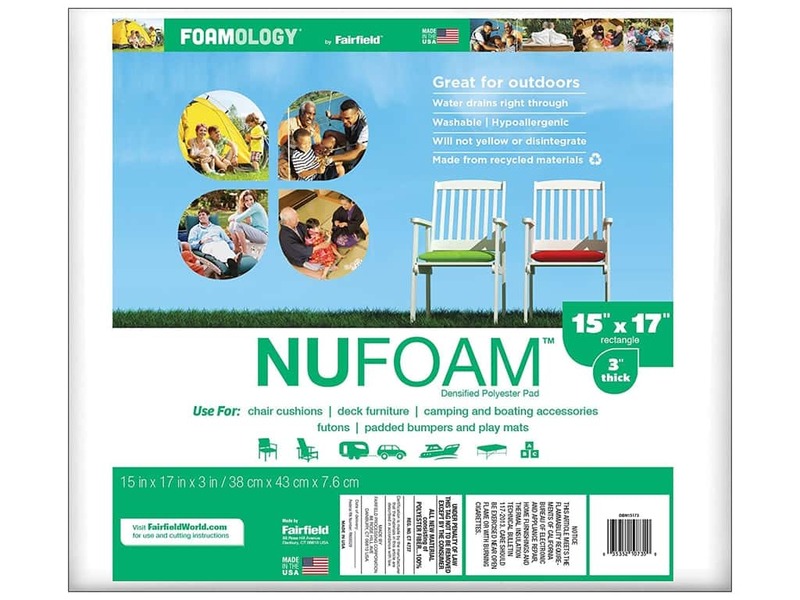 NU-Foam is flame retardant, washable and hypoallergenic, water drains right through which makes it great for outdoor use, made from recycled materials, will not yellow or disintegrate and resists mildew. Pad 15 in. x 17 in. x 3 in. See more Fairfield Foamology NuFoam.